So I have been confused about what happened to the 52 Week Challenge and then I finally realized that it has been replaced by the 31 Day Challenge. Just for the remainder of the month, I guess. Well, honestly I don't have time for the 31 Day Challenge so I am going to continue with the 52 Weeker. Double thumbs up to the ladies that are rocking the 31 Day Challenge!! 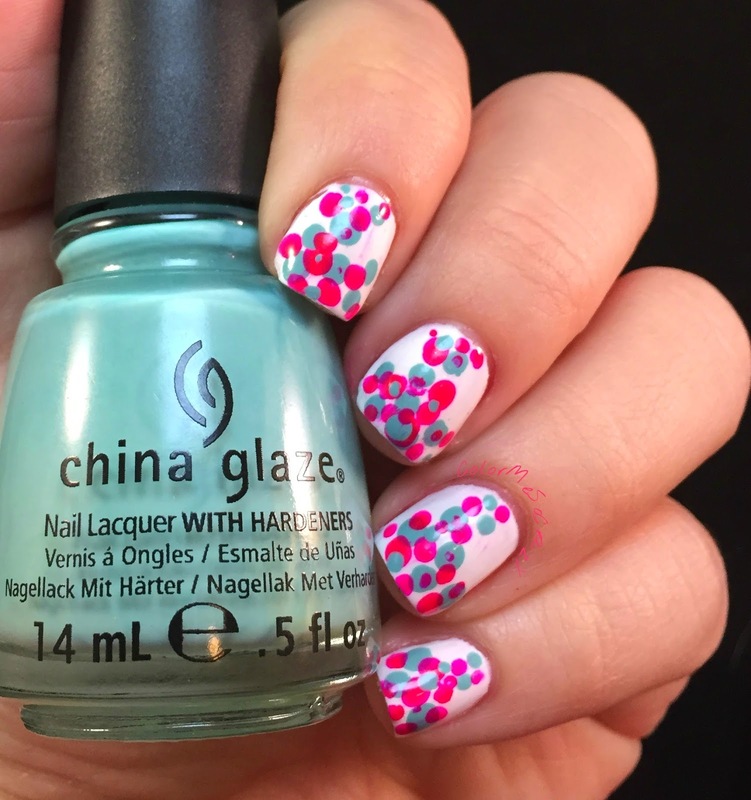 So, this week is Dotting Tools using Pink and Aqua. I think this is pretty similar to last week. The only difference is my nails don't look like some sort of disease took over and swallowed them. I did three shades of purple and it tuned out looking like amoeba. 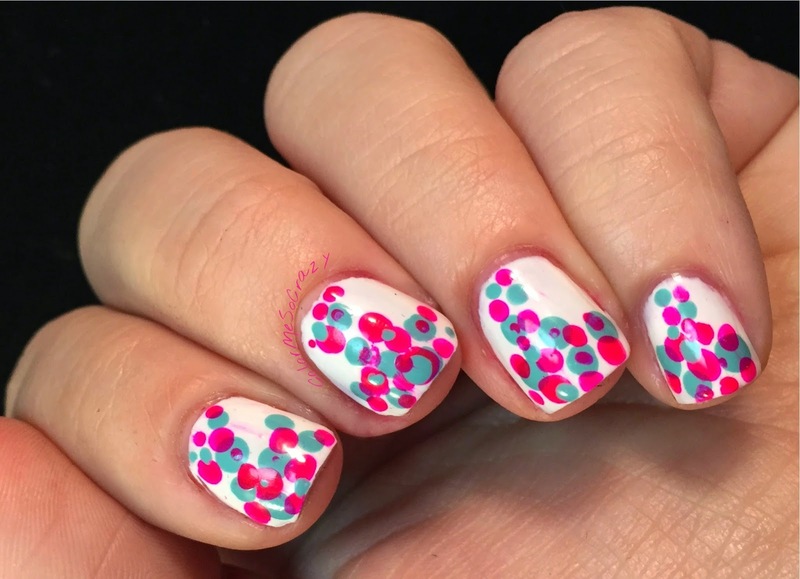 If you are looking for the easy way out for dots, you can pick up nail stickers and you don't have to worry about all of that jazz. I did something similar for Christmas and I really liked it so I decided to do it again but with a little twist. 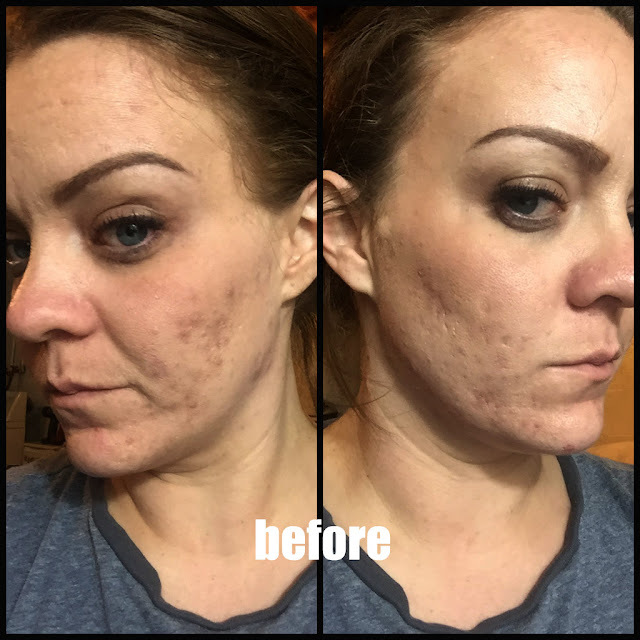 I kind of pulled the dots up in sections to make them go all the way to the base. I think it looks pretty neat. If you are looking for fun flirty colors, BH Cosmetics has some cute ones here.